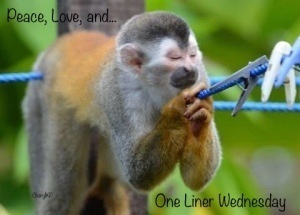 This post is part of Linda G. Hills weekly blog hop, One-Liner Wednesday. If you have a one-liner or just like them, follow the link. A WRITING PROMPT FROM ME TO YOU: A highly anticipated project comes out as a mess. This entry was posted in Food, One Liner Wednesday. Tagged memories. Messy is often a good sign. 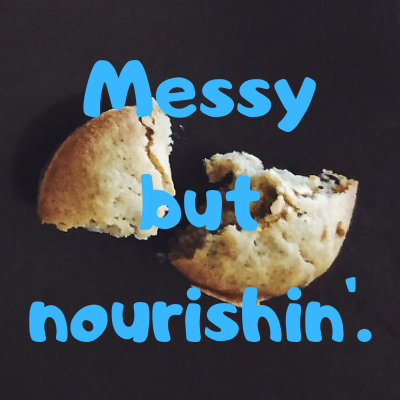 Most of my cooking is messy but nourishing. NOT that this hurts the eating of it much! And in roughly 37 years, I have yet to poison anyone. It is not easy being green! And there was that Volkswagon tire od a cheesecake that bounced. The dog… wisely… kept away. Oh, honey, I’ve made dishes even the dog wouldn’t eat–I feel your pain. The first time Mom and I saw risotto, we said it looked like the dog’s breakfast. So, of course, that’s what we always called risotto. Oh, but it’s good!